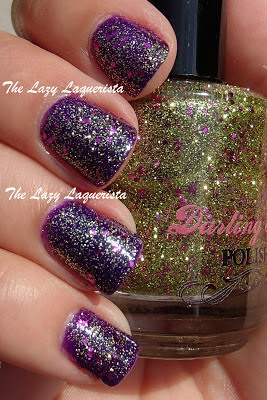 Today I tried out another of the colours from Darling Diva Polish's Madonna collection, Love Don't Live Here Anymore. 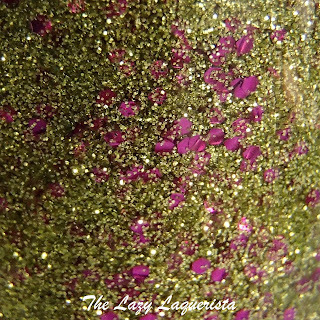 This polish features fine gold gitter and fuchsia hexes in a clear base. I decided to use it as a glitter topper but the glitter is quite dense and so I think you could use it as a full coverage glitter too by using about three coats. Application was flawless. No dabbing needed and it dried really smoothly. I just used a thin top coat to make everything nice and shiny. Pictures show one coat of Love Don't Live Here Anymore over China Glaze Creative Fantasy with one coat of CND Super Shiney top coat in natural sunlight. 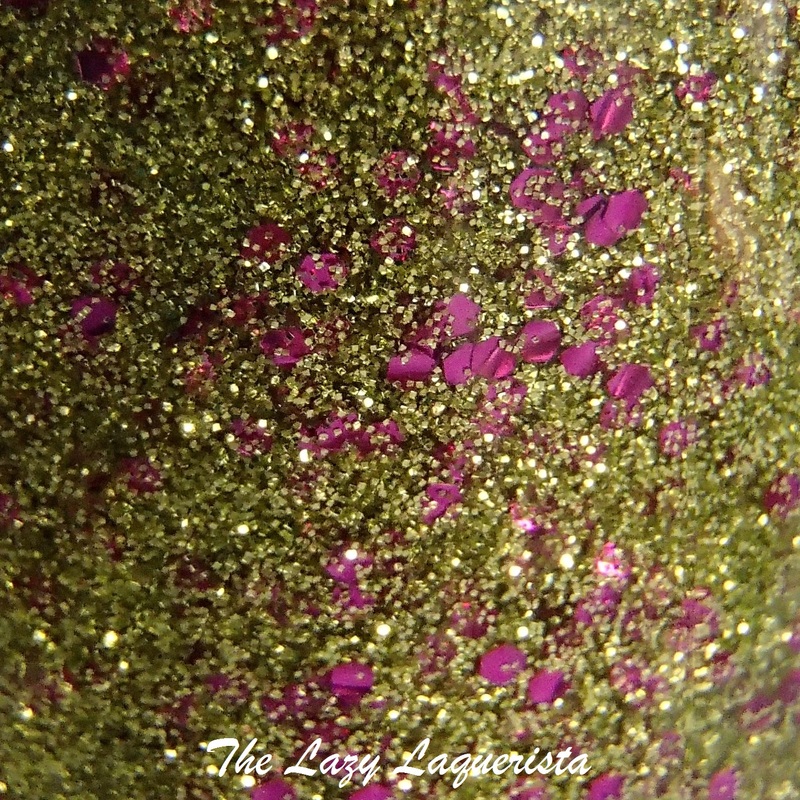 I usually prefer silver to gold but I love the contrast between the gold glitter and my purple base colour. My nails feel very... 'royal'. If you'd like a bottle of your very own check out Darling Diva's Etsy shop at http://www.etsy.com/shop/DarlingDivaPolish. 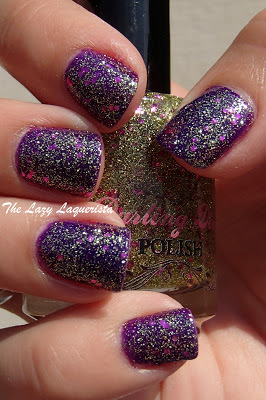 I am just loving glittery nails on these sunny summer days!